We just saw this ship in Barbados harbor last Wednesday! Several folks on our Cool Runnings catamaran had come off this ship to sail with us. Barbados has unveiled plans to construct an ultra-modern cruise facility, in the capital city of Bridgetown. Totally Barbados has been informed that, when completed, the Barbados Sugar Point Cruise Facility will allow the tourism-driven country to welcome some of the largest cruise ships in the world. Another advantage of the facility is that it will in effect separate cruise and cargo activities, thereby addressing complaints about the two competing for limited space within the port. The development will take place along Trevor’s Way and involve reclaiming 15 acres of land from the sea, 100,000 square feet of which will be provided for commercial activity. Dredging is slated to begin in November 2012. Minister of International Business and International Transport George Hutson said the project will be done in two phases, the first of which is estimated to cost 300 million dollars. He said the initial stage will include two cruise piers, arrival and departure facilities, along with parking lots. The two-year project will be spearheaded by Barbados Port Incorporated in a joint venture with a consortium comprising Barbadian company SMI Infrastructure Solutions Incorporated and Royal Caribbean Cruise Limited, the world’s second largest cruise operator. A minimum of 200 jobs are expected to be created during the construction phase, with 500 more added through related commercial activities. Once completed, the facility is also expected to feature Barbados rum and sugar culture as a major theme throughout. Minister Hutson said the Barbados government is banking on the new facility to attract more cruise ships, with a view to increasing the revenue generated from their passengers. It is with that in mind, that the new facility will be constructed in such a manner as to offer the opportunity to experience Barbados cuisine, local music and even see local artisans prepare their products for sale. Cruise tourism in Barbados has grown from just over 127,000 in 1985 to 726,543 last year. 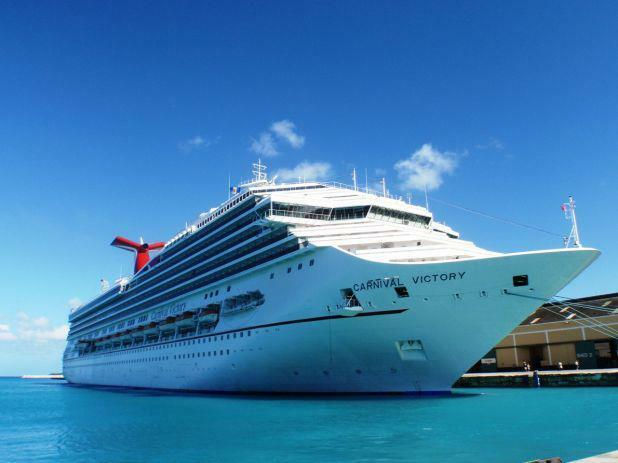 The highest number of cruise passengers 812, 863 was recorded in 2004. The effort by the government to boost the intake from cruise tourism is in keeping with recommendations from the central bank, which has stressed that Barbados needs to earn more foreign exchange to register sustainable growth.